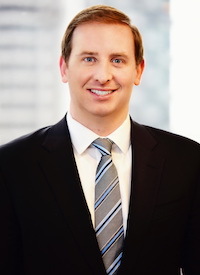 Justin R. Gaudio | Greer, Burns & Crain, Ltd.
Justin Gaudio is a shareholder with Greer, Burns & Crain in Chicago. His legal practice encompasses all aspects of intellectual property law including patents and trademarks, with significant experience and emphasis on Internet and technology law. Mr. Gaudio regularly handles matters related to developing and implementing programs to combat online counterfeiting and infringement. His technical background has enabled GBC to develop effective and efficient online enforcement solutions. As a result, GBC has seized tens of thousands of counterfeit domains, millions of dollars in assets and amassed over $2 billion in judgments. As a result of his responsibilities related to GBC’s online brand protection efforts, Mr. Gaudio is highly experienced in all types of internet website and domain name disputes. He has represented clients in numerous counterfeiting, trademark infringement and Anti-Cybersquatting Consumer Protection Act (ACPA) litigation in U.S. Federal Courts that have resulted in multimillion dollar judgments against infringers and thousands of domains names being transferred to clients. He has also handled domain name dispute arbitration actions in jurisdictions around the world (UDRP, Nominet, and others). Mr. Gaudio also has significant IP enforcement experience removing infringing content from Internet search engines and social media networks. Mr. Gaudio has worked numerous times with law enforcement and customs authorities internationally to protect GBC clients’ brands. His efforts overseeing hundreds of investigations and raids in the Unites States, China, and Europe have resulted in the seizure of hundreds of thousands of counterfeit products. Mr. Gaudio’s experience with patents includes litigation, drafting and prosecuting patent applications as well as preparing opinions on infringement, invalidity, and due diligence. He has prosecuted patents and provided counseling to clients in diverse technical areas, including networking and data communications, computer software, footwear and apparel, heavy duty vehicles, wallboard manufacturing, power tools and railway maintenance equipment. Mr. Gaudio received his law degree from DePaul University. Prior to law school he was awarded a Bachelor of Science in Computer Engineering and minor in Mathematics from the University of Cincinnati. Prior to joining GBC Mr. Gaudio worked at General Electric Aircraft Engines as an Engineering co-op and a law firm specializing in aviation related litigation. $200 million judgment entered against Defendants, permanent transfer of more than 1,500 domain names, and a substantial amount in linked PayPal accounts frozen and transferred in partial satisfaction of the judgment. $200 million judgment entered against Defendants, permanent transfer of nearly 1,000 domain names and a substantial amount in linked PayPal accounts frozen and transferred in partial satisfaction of the judgment. $200 million judgment entered against Defendants, permanent transfer of more than 350 domain names, and a substantial amount in linked PayPal accounts frozen and transferred in partial satisfaction of the judgment. $200 million judgment entered against Defendants, permanent transfer of more than 700 domain names and a substantial amount in linked PayPal accounts frozen and transferred in partial satisfaction of the judgment. Awarded $500,000 per Defendant, permanent transfer of nearly 800 domain names and a substantial amount in linked PayPal accounts frozen and transferred in partial satisfaction of the judgment. Awarded $200,000 per defendant, permanent transfer of nearly 200 domain names and a substantial amount in linked PayPal accounts frozen and transferred in partial satisfaction of the judgment. Awarded $2,000,000 per defendant, permanent transfer of over 300 domain names and a substantial amount in linked PayPal accounts frozen and transferred in partial satisfaction of the judgment. Awarded $2,000,000 per defendant, permanent transfer of 1,000+ domain names and a substantial amount in linked PayPal accounts frozen and transferred in partial satisfaction of the judgment. Awarded $2,000,000 per defendant, permanent transfer of over 600 domain names and a substantial amount in linked PayPal accounts frozen and transferred in partial satisfaction of the judgment.